Marvel’s Legacy. It’s here. What do the boys think of it? We delve deep into the first official instalment & the previews of what’s to come (spoilers for issue 1!) of yet ANOTHER Marvel event! 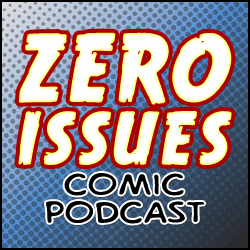 Also a quick game of comic password, & Kyle discusses DC’s 1 million event from the 90’s . Also Googlin’ through the 90’s, Betty & Veronica & Harley & Ivy, Merk talks about an amazing, Marvelous coincidence and Mr Fantastic eats spaghetti! All that and more! Join us! We’re talking legacy characters this week! Batmans, Robins, Captains Marvel, Flashes… there are a lot of them! 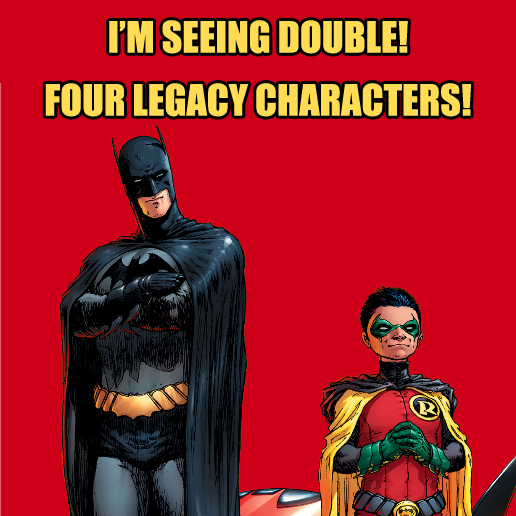 But what actually counts as a legacy character? We answer that question once and for all, so don’t debate it in the comments section. Don’t even do it, guy!